Met by Sport Safaris Africa and transfer to Umkomaas, a seaside resort south of Durban. Accommodation in Ocean View Guesthouse (B&B, TV, pool, bar, en suite bathroom, safe). After settling down in the guesthouse we meet for a welcome briefing, sort out dive gear and for the introduction of the Shark Specialty Course. 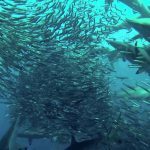 Lecture on the ragged toothed shark by Prof. Vic Peddemors, video: Introduction to the Aliwal Shoal. Briefing for dive 1. First dive at Aliwal Shoal followed by breakfast and debriefing by Instructor and scientist. Dive number 2. Break for light lunch. Practical session: shark dissection and general discussion about sharks and their specialized adaptations by Vic. Video session followed by dinner at one of the restaurants in Umkomaas. After dinner we meet again for debriefing, video and lecture on sharks and shark attacks. Briefing for dive 3 followed by a dive. Breakfast and debriefing. Conclusion by Vic; presentation of certificates. 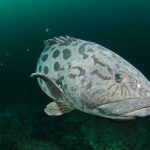 Dive 4, pleasure dive at Aliwal Shoal. In the evening we will continue with an introduction to the Advanced Shark Specialty Course. 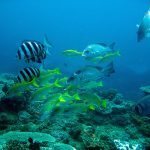 Lecture: Sharks as Top Predators in the Ecosystem. Briefing for dive 5 at Protea Banks/Aliwal Shoal. Debriefing. Light lunch. Lecture: Mechanisms of Feeding: From Planctivore to Carnivore, followed by hands-on session with teeth and jaws. Night dive with the ragged toothed sharks at Aliwal Shoal. Dinner and debriefing. Briefing for dive 7 at Protea Banks/Aliwal Shoal. Breakfast and debriefing. Briefing for dive no 8. Debriefing. 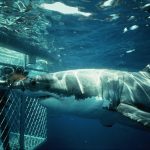 Lecture: The BIG THREE - the Latest Scientific Information about the Great White, Tiger and Zambezi Sharks. Conclusion and presentation of certificates. After breakfast we transfer to Durban airport for the flight to George. Airport shuttle from George airport to Mossel Bay where we book into our Holiday Flats directly on the coast. 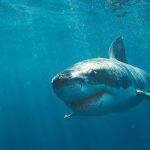 In the evening we meet for an introduction to the Great White Shark Specialty Course. Early breakfast before we board the Infante which will take us to the great white sharks. On board, Vic will give lectures between cage diving. Lunch is supplied on board. Once again, a day spent on the water watching and learning about Sharks. In the evenings there will be lectures and slide shows/ videos followed by the conclusion and presentation of certificates by Vic. 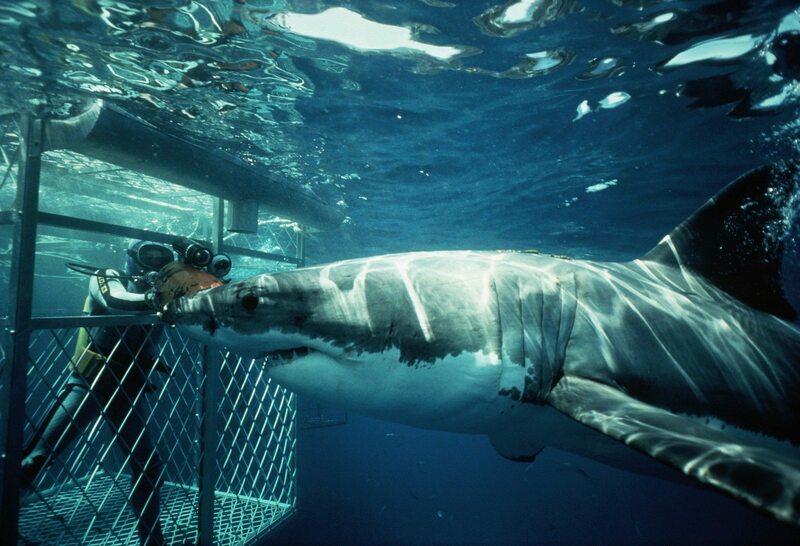 Great White Shark Cage Diving. These are extra days incase of bad weather conditions. If the weather is great we just get more sharks! Spare day to visit local attractions and allow for a bit of flexibility if we have weather problems. We will end up in Cape Town and stay in a Guest House on the South Peninsular. If time permits we will visit some of the Wine Farms in the Stellenbosch area to sample the local wines. 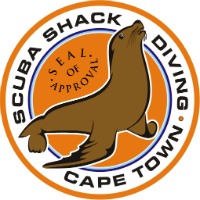 A day to explore the Cape or do a seal dive (we will have dived with the sharks, see what it is like to swim with the food). The scenic tour is included, the diving an optional extra. A final day to pack away the dive gear and do the last minute shopping before transferring to the Cape town International Airport for flights back home.